Recognizing that problems with body image are often the lead cause of eating disorders, therapists are increasingly looking for innovative and effective ways to address these issues with clients. 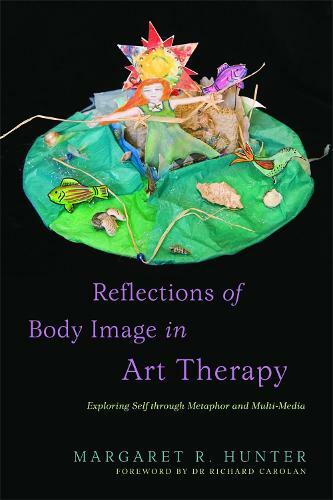 This book is packed with simple, inexpensive art-based activities that use a range of media to engage with common body image concerns openly and creatively. The activities employ basic principles from Behavioral Therapy including mindfulness and emotion regulation and use common and familiar objects to create a reassuring environment. Discussion and evaluation are encouraged throughout to enhance awareness and appreciation of self. All the exercises, and their objectives, are thoroughly explained with illustrative case studies and sample artworks from the author's extensive therapeutic experience. These adaptable art exercises will be the perfect resource for any professional to promote healthy body image in group or individual work, with girls and women. They can be used as preventative strategies with girls still developing their identities, and will be especially useful at all stages of eating disorder treatment programs.